sagefrog, Author at ThermOmegaTech, Inc.
Stop by our booth. We can find solutions to your temperature control challenges. Domestic Hot Water: A Better Option? The facts are frightening – especially since the problem can be avoided. Consider this: As many as one in 10 patients hospitalized in the U.S. contracts an infection, according to the Wall Street Journal. That means nearly 2 million patients annually are infected by bacterium or other agents. The cost is nearly 100,000 deaths and $6.5 billion in overall losses. In December 2009, a well-known manufacturing plant experienced a safety incident in which an employee was severely burned. The employee was exposed to a caustic chemical that sprayed out of a spigot and came in contact with exposed parts of his neck, hands, and arms. He was rushed to the nearest safety shower and thrust under a deluge of bone-chillingly-cold 40°F water. Due to the extremely frigid water, his body’s natural reaction was to leap out before being completely rinsed of the harmful irritant. He was then transported to the medical office where the combination of not being fully cleaned of the chemical and the length of travel time lead to worse burns than there should have been. The American National Standards Institute (ANSI) Z358.1-2009 is used to help plant managers and safety professionals comply with the Occupational Safety and Health Administration (OSHA) regulations requiring employers to provide a safe workplace. 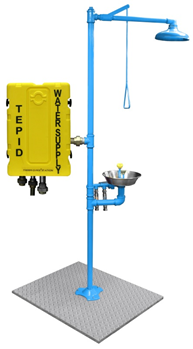 This ANSI Standard establishes the universal minimum performance required for all eyewash and drench shower equipment used in plants. It states that all flushing equipment must be located in easy-to-reach areas, with the eyewash station or shower accessible within 10-seconds. This has become referred to as the 10 second rule. Additionally, eyewash stations and showers must be installed in well-lit and marked areas with a minimum flow rate of .4 GPM at 30PSI and 20 GPM at 30PSI respectively. The ANSI Standard also includes other design and operational specifications to assure that the safety showers and eyewashes are easy to use even in the case of an emergency by a victim with compromised mobility. Such features include valves that are easy to activate and will stay open once activated without having to hold a valve or handle open. OSHA regulations that apply to safety shower eyewash stations expand on the ANSI Standard requirements in certain high risk operations. For example, if open vessels containing hazardous substances are present, OSHA requires specialized safety shower and eyewash equipment to address the higher risks. “For 30 years, Warminster’s ThermOmegaTech® has been helping to protect locomotives with the smallest pieces of equipment — valves that keep water from freezing and damaging engines. Today, under new ownership, the valve manufacturer is growing by diversifying its product line to include everything from commercial plumbing products to regulators for barbecue grills. ThermOmegaTech began by providing self-powered freeze-protection valves to railroad companies. Over the years, Pirkle and Therm-Omega-Tech developed dozens of valve products. But railroads remain its biggest customer, and the company boasts of a 96 percent market penetration in the industry. Keystone Edge recently profiled CEO Jim Logue for their “Innovation & Job News” section. Jim discusses ThermOmegaTech’s journey into Lean Manufacturing and the growth that we’ve seen with it. “A few years ago, when CEO Jim Logue joined ThermOmegaTech, a Warminster valve maker, he found a solid, old-line manufacturer. Still, he recalls, the assembly shop and the machine shop were not clearly communicating, leading to inefficiencies and delays. Since adapting the principles of lean manufacturing, Logue says, people are working better and smarter and operations are more coordinated and efficient. The company has seen 70% growth in revenues in its top products and has grown jobs by 10%. Logue anticipates adding another three positions in the next six to 12 months. The Circuit Solver Balancing Valve was recently featured in both HPAC Engineering Magazine, as well as Contractor Magazine. HPAC Engineering is the leading mechanical systems engineering publication and voice of leadership in the buildings industry. Contractor Magazine is the online resource for mechanical contracting. The Circuit Solver Balancing Valve was recently featured in Buildings Magazine, the leading publication for managing facilities. The Circuit Solver is a valve for domestic hot water systems that reduces water waste, creates energy savings, and improves user satisfaction. The valve provides an automatic response to water temperature that enables each hot water branch to quickly and consistently deliver the right temperature to each connected fixture. View the entire Buildings Magazine release here. Jim Logue, President of ThermOmegaTech®, was recently interviewed for the Manufacturing Revival Radio weekly podcast. In the program, Jim speaks about his roots as a CPA and into ThermOmegaTech’s journey into Lean Manufacturing. 1. Jim, a former CPA by trade, ended up President of a manufacturer. He discusses the transition into that role, and makes the case that any good business person can thrive in manufacturing! 2. Jim, and Therm-Omega-Tech, is a big advocate of lean manufacturing, and he discusses their lean journey. 3. Founded to serve the North American railroad market, Therm has recently transitioned into industrial. Jim discusses this evolution, and the strategy behind it. There is strength in diversifying your product lines, including getting into the OEM market. 4. Despite being a traditional manufacturing, serving some established markets, they are evolving their go-to-market strategy to keep up with the modern age of sales and marketing. 6. Jim talks about the resurgence of American manufacturing, and what Therm did to buck the trends and thrive through the economic downtown. 7. 95% of the material produced by Therm is made on-site in their plant. Jim discusses why this is so, and why this is important to the future growth of the company. 8. Jim talks about the struggle to find talent to fill jobs with the right skills and knowledge, and what they do to train members of their team…including implementing a significant internship program. To listen to the podcast, visit Manufacturing Revival Radio’s website, subscribe though iTunes, or click the player below. Recently, an employee at a chemical plant was accidentally exposed to a caustic solution that the plant was processing. He ran to the nearest safety shower in order to rinse the caustic off. Unfortunately, the safety shower was malfunctioning. Instead of tepid water in the 85°F (29° C) range, he was doused in water under 60° F (15.5° C). His initial reaction was to jump out, but his fellow employees held him under the cold water to rinse off the chemical. As a result, he ended up with hypothermia from the cold water. ThermOmegaTech, Inc has been honored by having two of our valves nominated for Consulting-Specifying Engineer Magazine’s annual Product of the Year award. Both the Circuit Solver™ and the DTV are in the running to be the best Plumbing and Water Management product. Please take a moment and visit CSEMag.com’s voting page here and select Circuit Solver or DTV as your vote for Product of the Year. You may vote as often as you like. We came across this article on return temperatures. It addresses some key issues in regards to domestic hot water balancing. Our new Circuit Solver™ can be a great way to fix, and even eliminate problems with hot water delivery. Delivery & Return Temperatures are the two most critical numbers; these are the temperatures available to the residents at the beginning and at the end of the hot water loop. Too hot is unsafe, too low is unacceptable for cleaning or comfort. Low Return Temperature is commonly ignored because diagnosis can be tedious and it doesn’t seem like a dangerous problem. Wrong. You are wasting fuel through heat loss. Special thanks to EDC Technologies, Inc. for letting us re-post this. Avoid permanent injury, freeze damage and corrosion. Federal regulations require you to flush supply lines to emergency showers and eyewash stations weekly. The water passing through these devices must be at a temperature between 60°F and 100°F. The showers/eyewashes must be placed strategically, depending on the plant’s physical layout. Frederick (Fred) L. Pirkle, owner of ThermOmegaTech, Inc., in Warminster, PA passed away March 9th at his home. Fred was born on February 17, 1946 in San Antonio, TX to Charles Earl Pirkle and Zutella Bones Pirkle. He lived in San Antonio throughout his childhood and graduated from Harlandale High School in 1964. In 1970 Fred received a B.S. from the Department of Industrial Technology at Sam Houston State University in Huntsville, TX and in 1972 he received a Masters degree from the same place. “Shotgun Fred’s Guru Crew” The Walk to Defeat ALS!!! 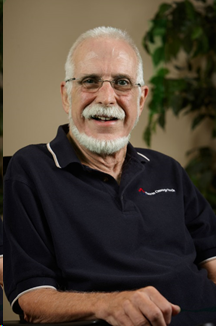 Fred Pirkle, aka “Shotgun Fred”, founded ThermOmegaTech® in 1982. Since then he has patented more than 20 products, including the first temperature control device for charcoal grills/cookers – hence “The BBQ Guru” was born in 2004. 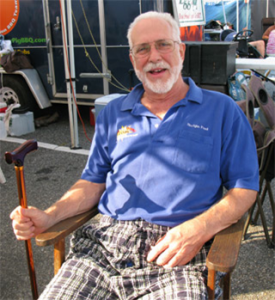 In April 2011, Fred was diagnosed with ALS. As his friends and family are well aware, he is a fighter and continues to fight the disease every day. In Fred’s honor, and in an effort to help support patient service programs and ALS research, ThermOmegaTech and The BBQ Guru have joined forces with the ALS Association. We are a corporate sponsor of and have formed a team, “Shotgun Fred’s Guru Crew”. On Saturday, November 5th we participated in our first Walk to Defeat ALS.